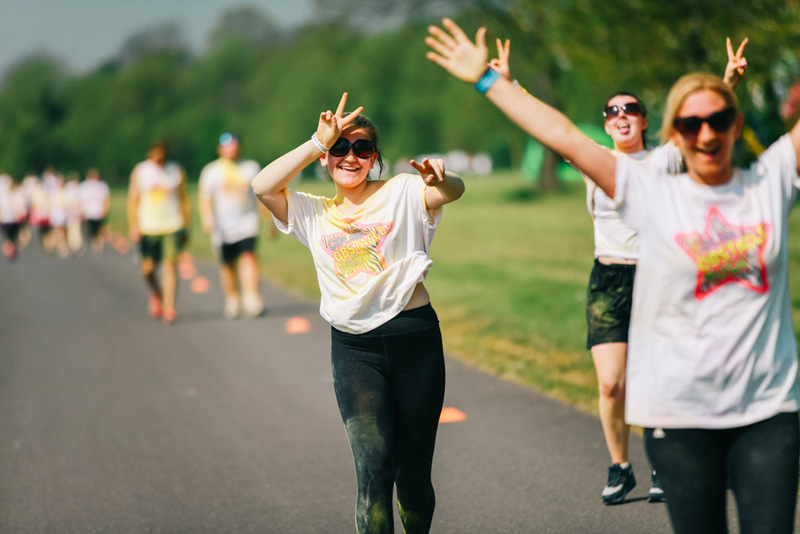 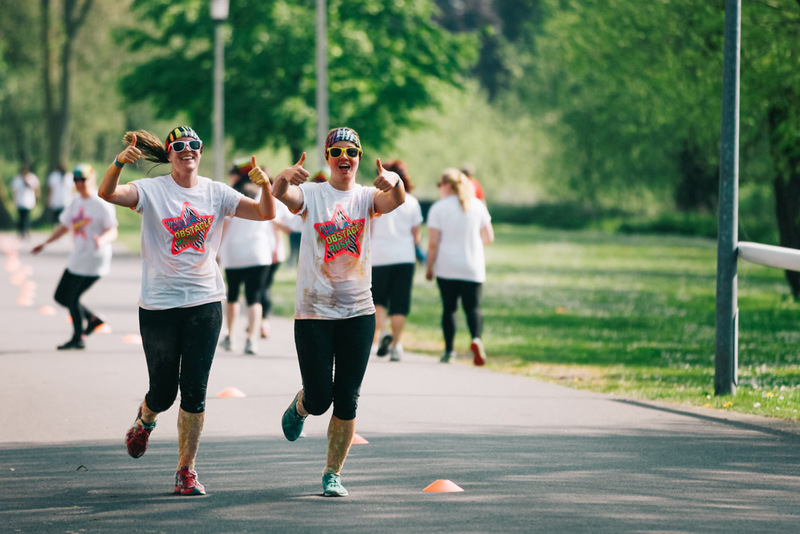 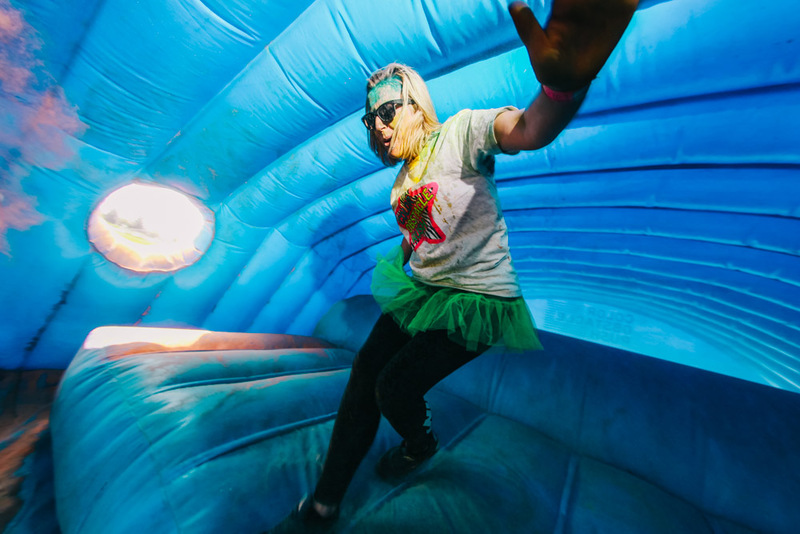 For the second year in a row I’ve been invited to photograph one of the most unique and fun run tour. 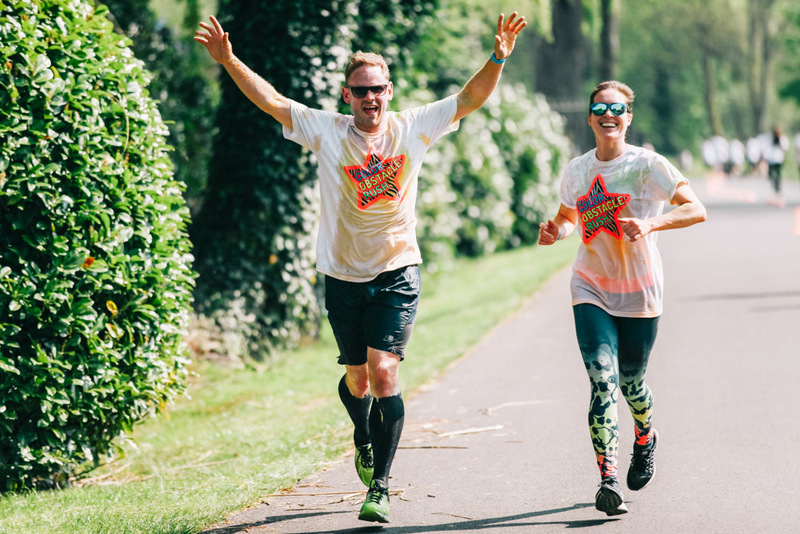 Thirteen days of 5 kilometres long race that took place all over UK! 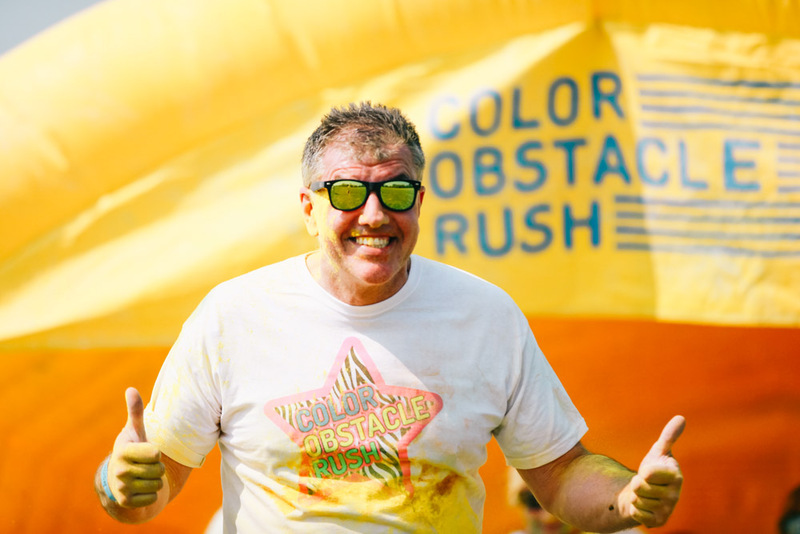 I have traveled between Brighton all the way up to Newcastle. 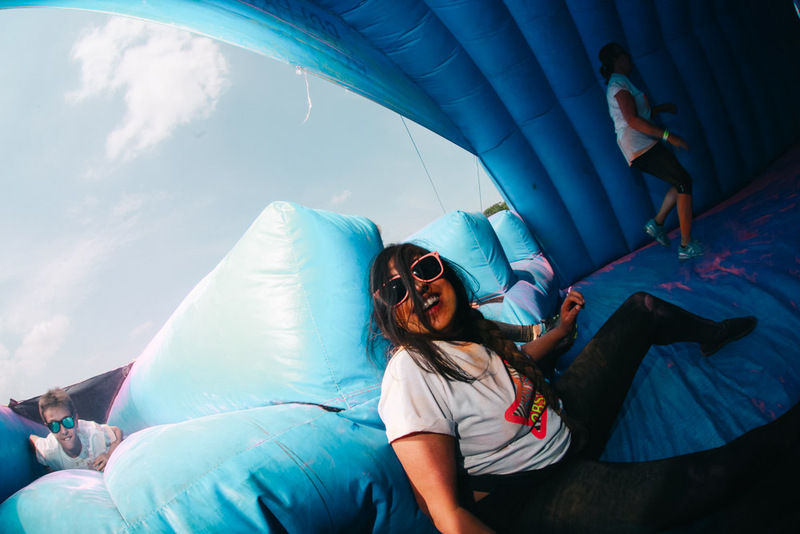 Being 100% honest those long drives there and back were not the most pleasant but that’s not the point. 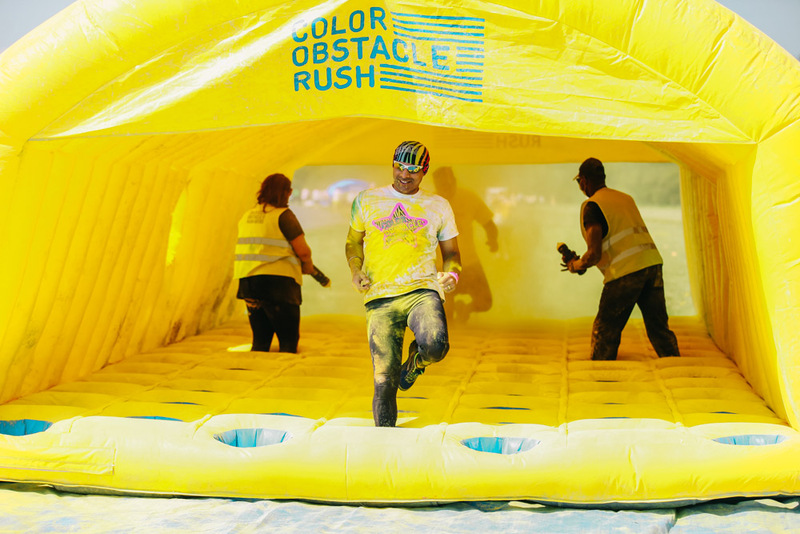 Whether it was 30 degrees or cold with rain, all the participants were ready for the mess. 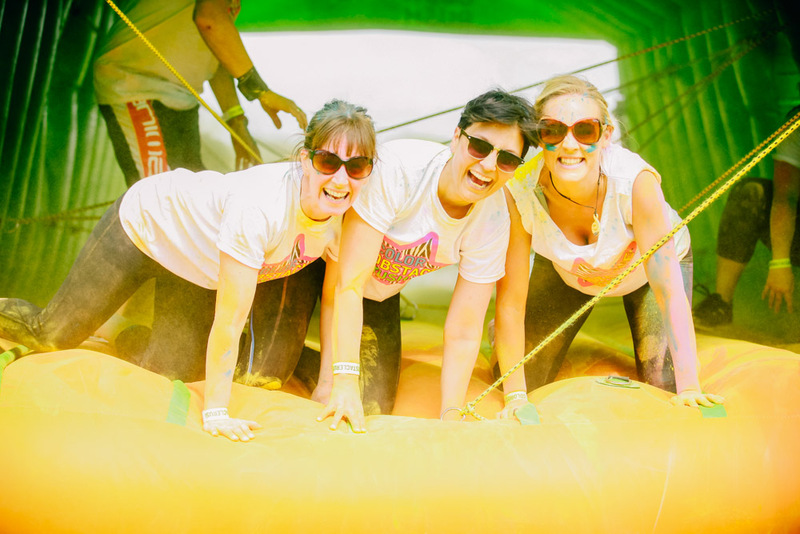 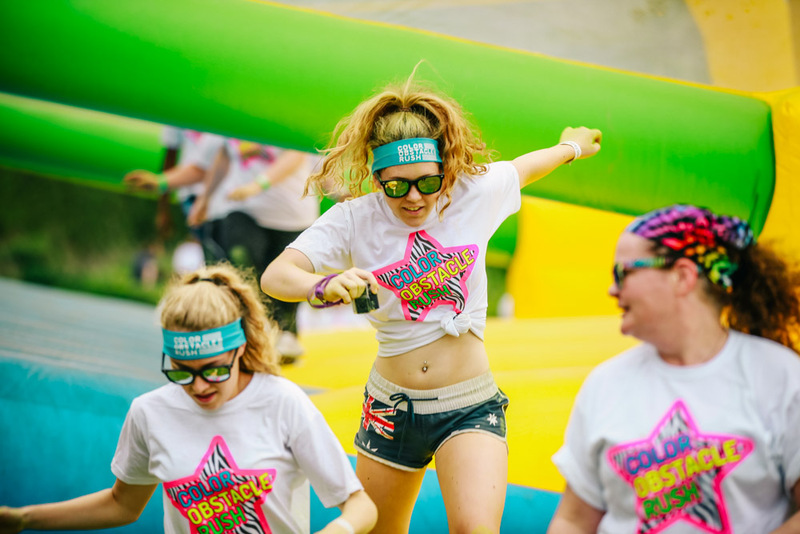 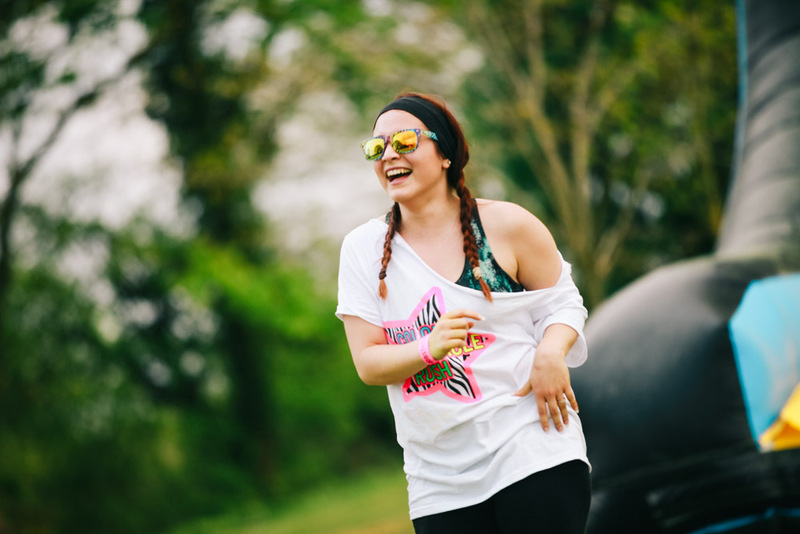 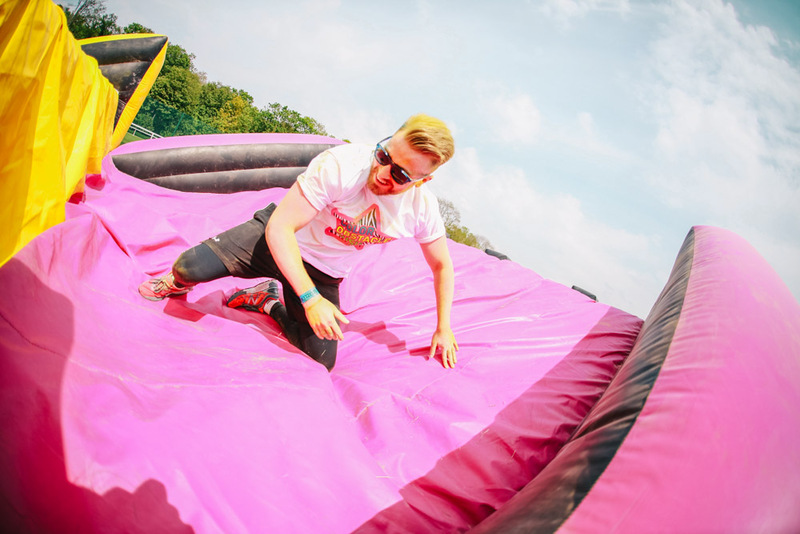 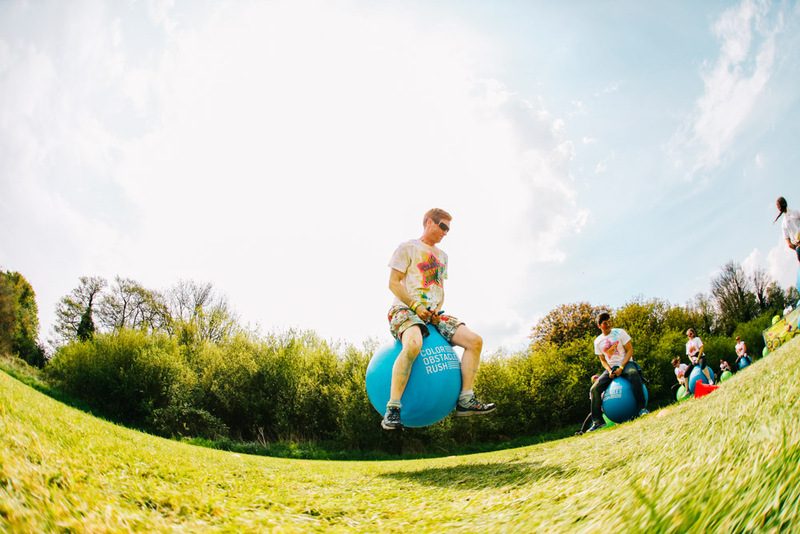 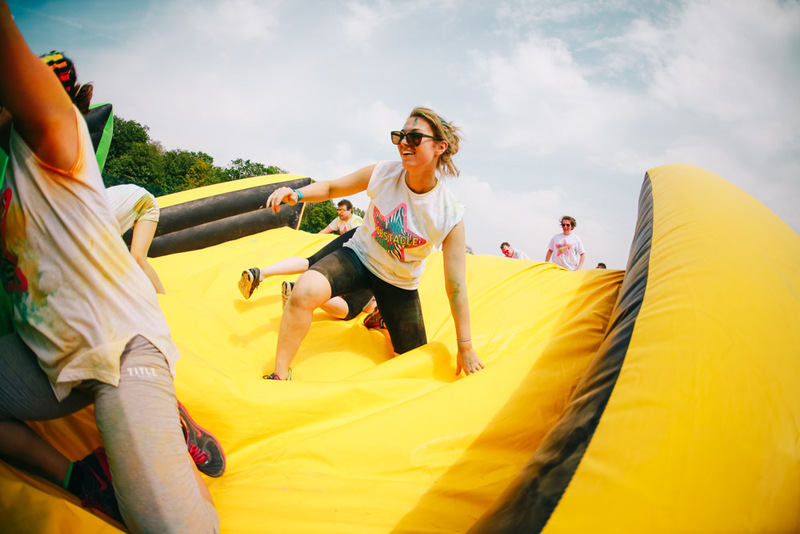 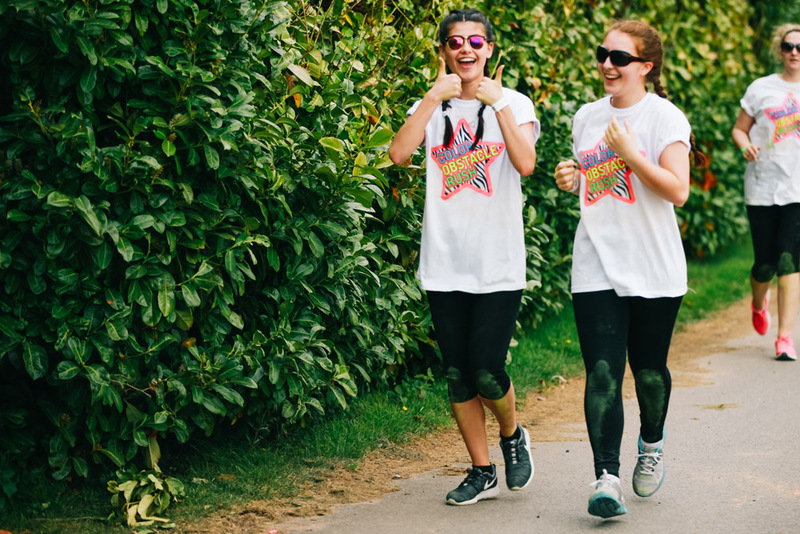 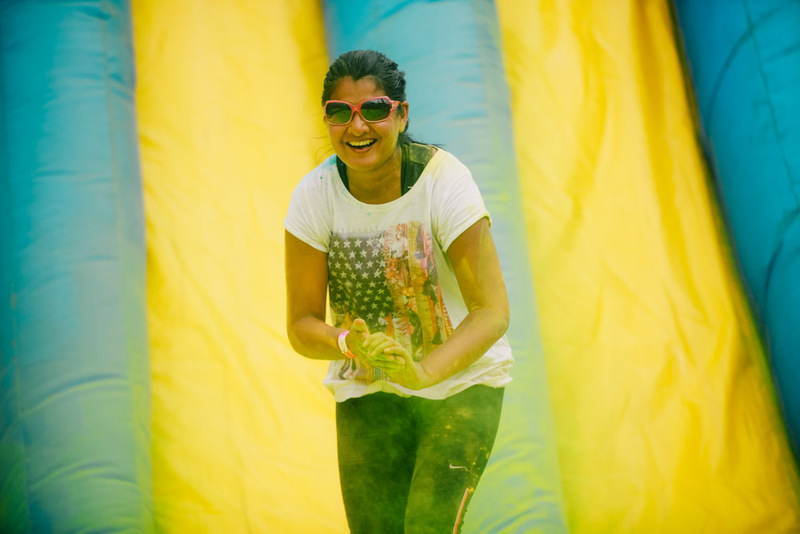 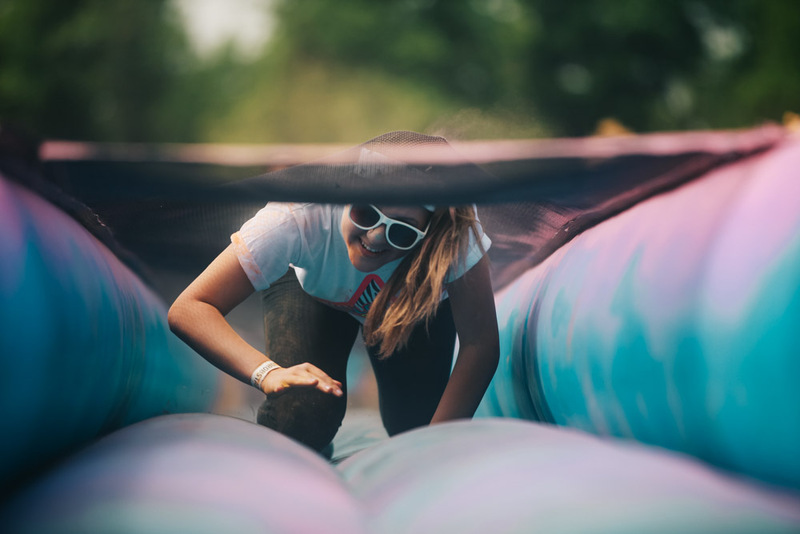 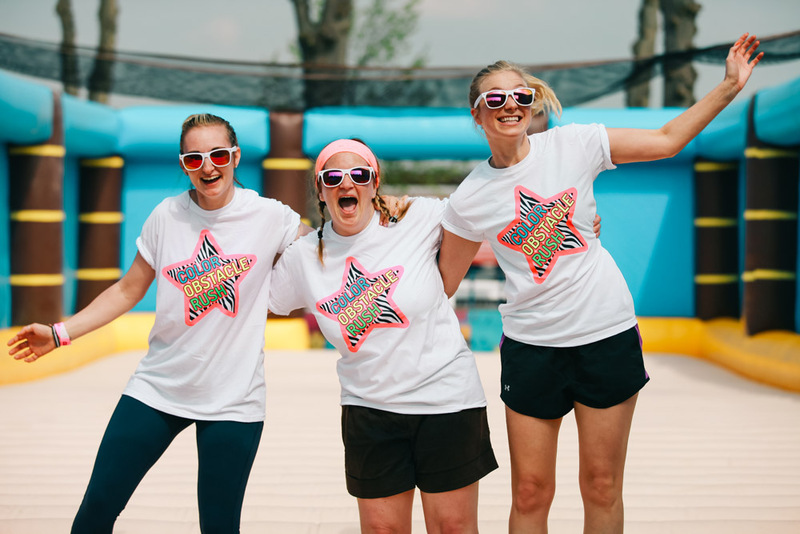 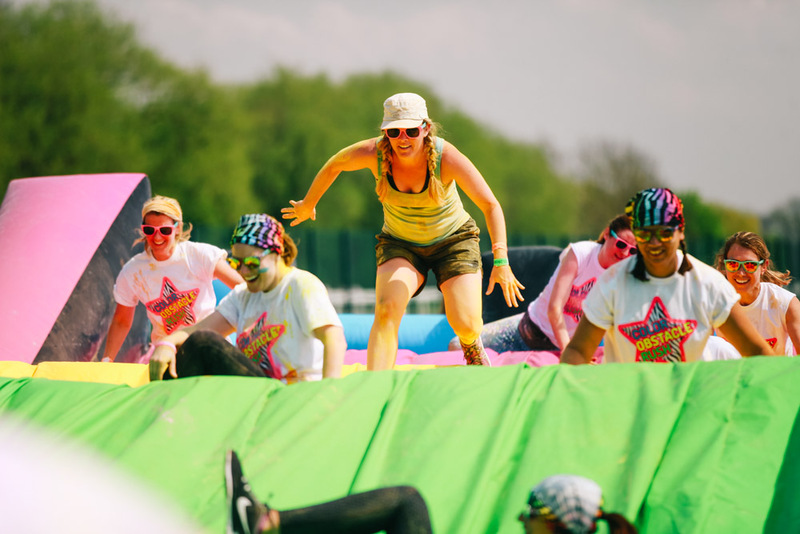 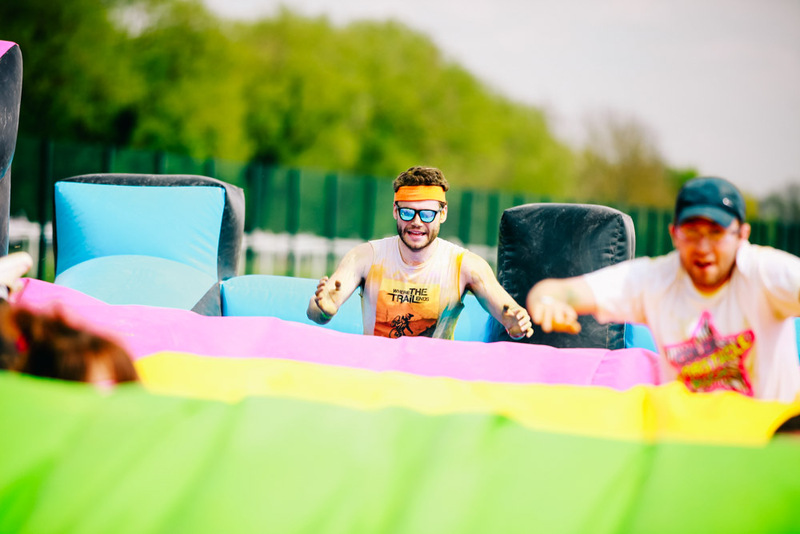 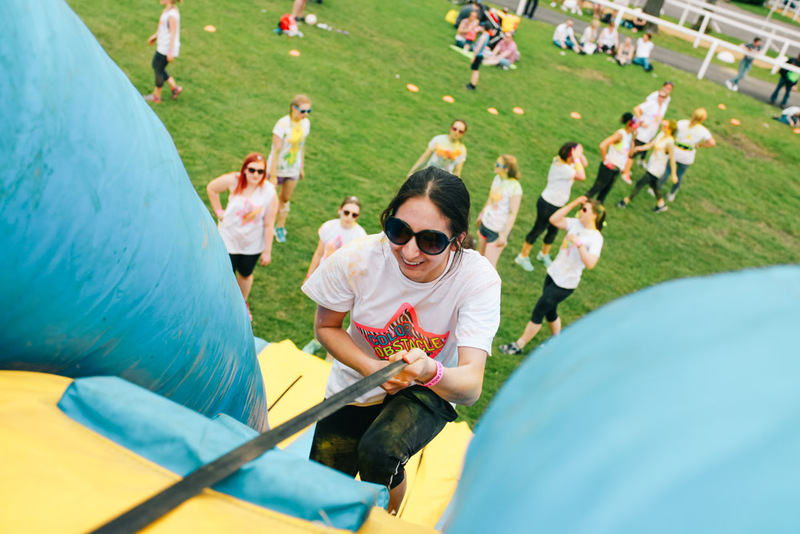 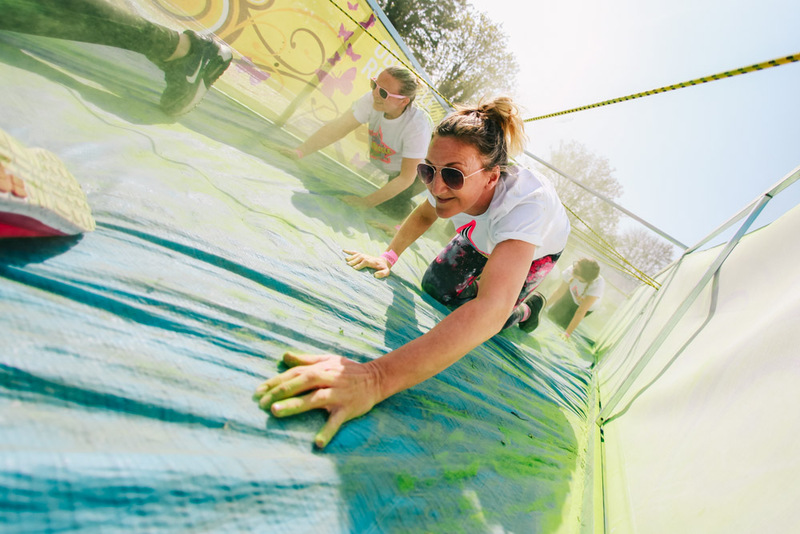 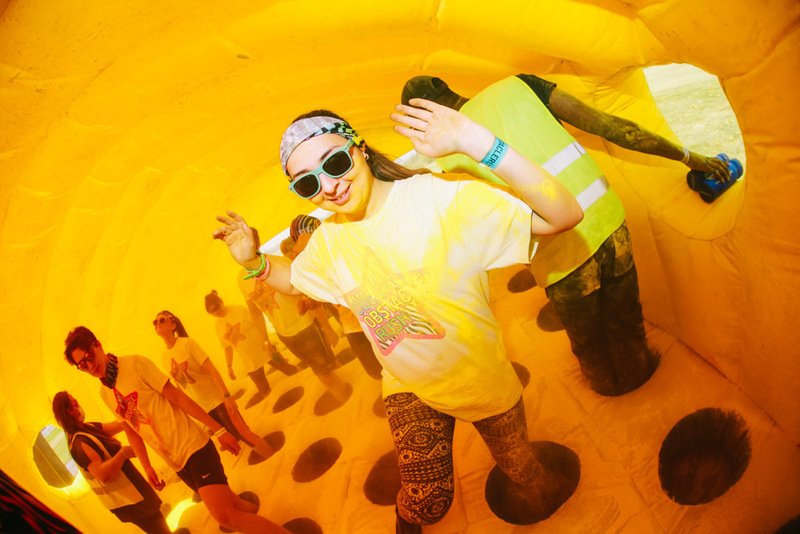 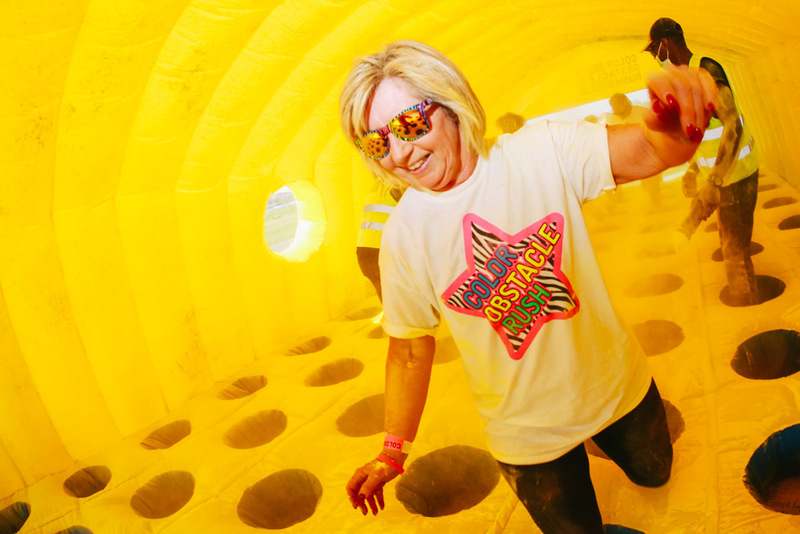 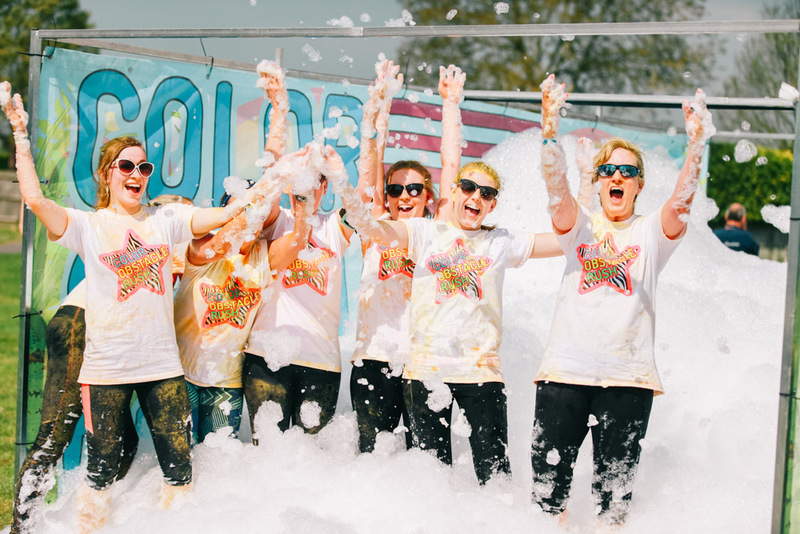 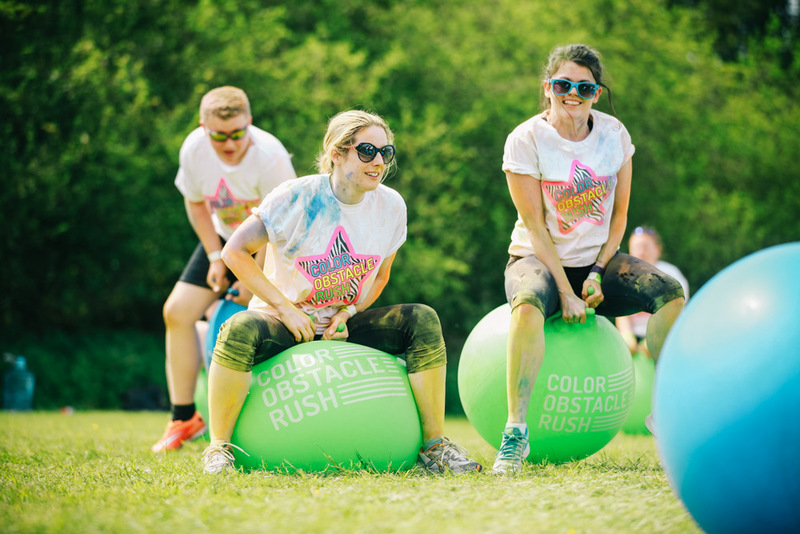 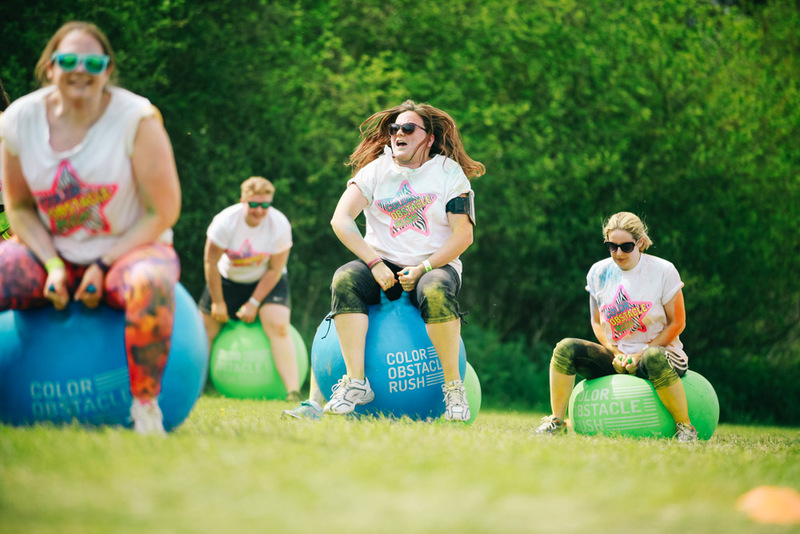 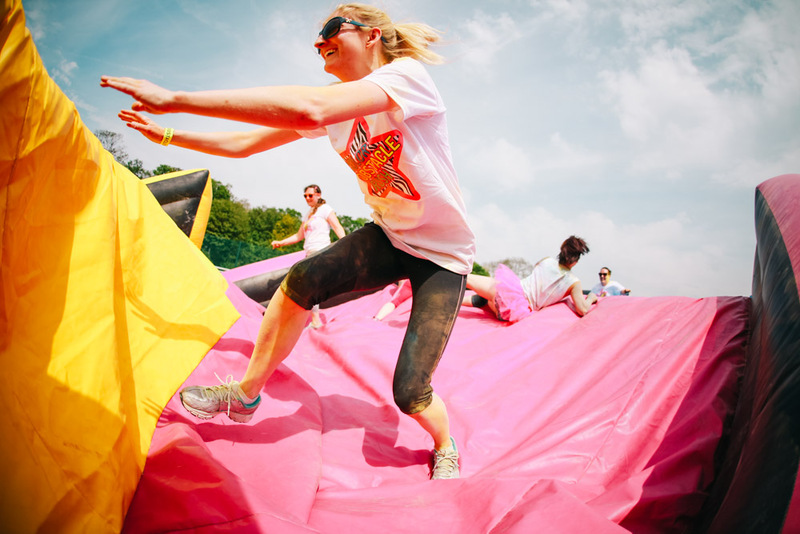 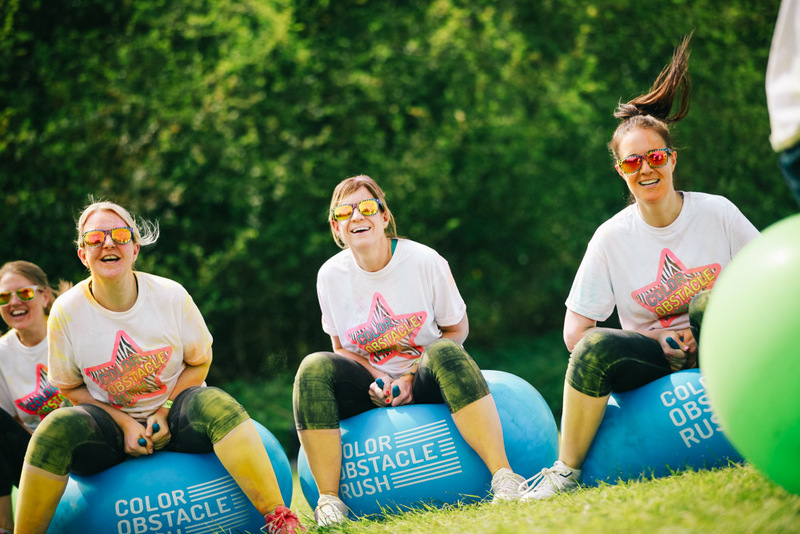 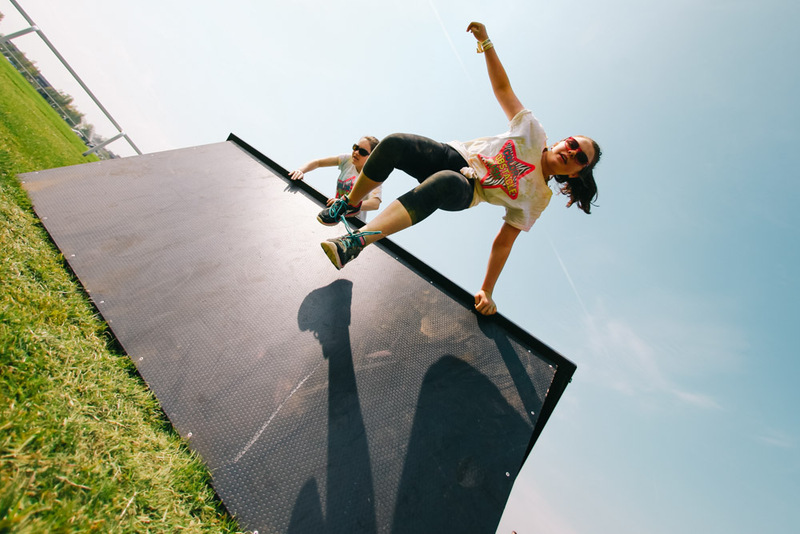 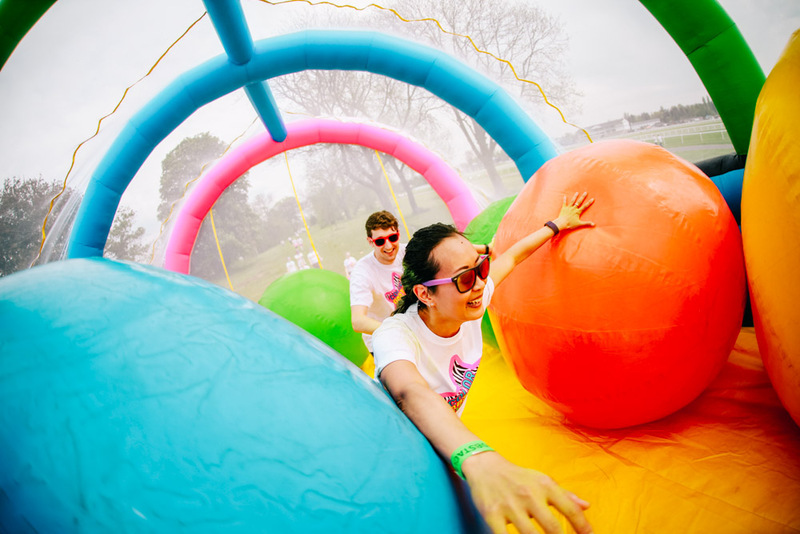 20 inflatable obstacles and 8 colour stations and 20 music zones were just to good to be missed. 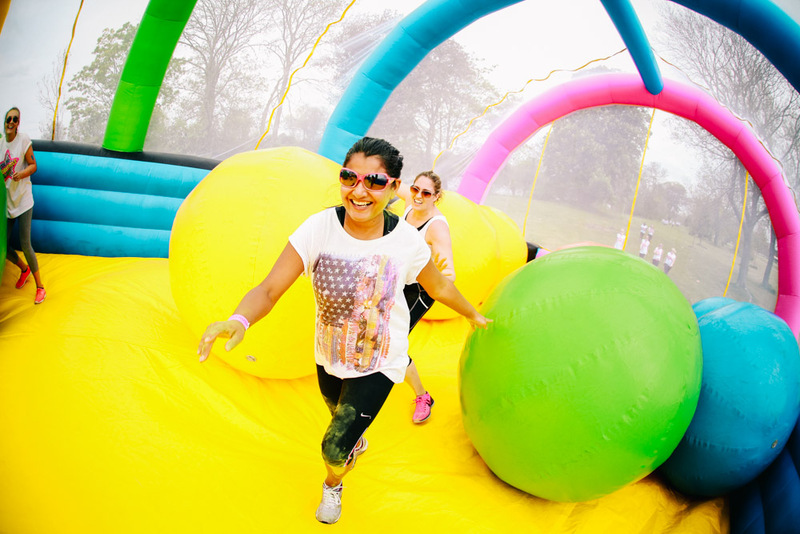 Although this is a ‘running’ event you don’t have to run if you don’t feel like it. 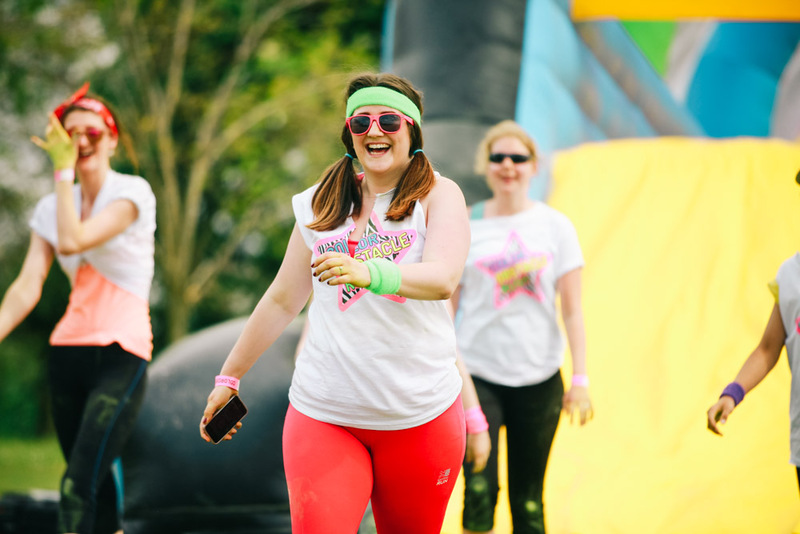 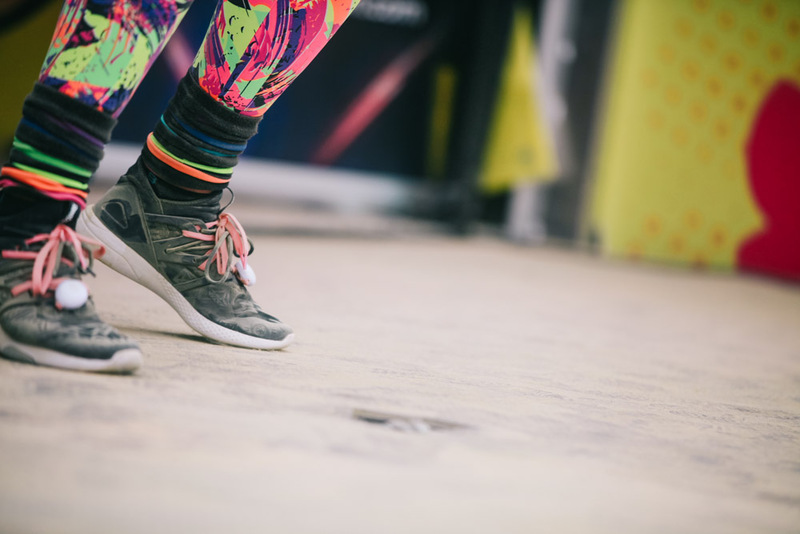 In fact, many people were walking, jumping and dancing through the course! 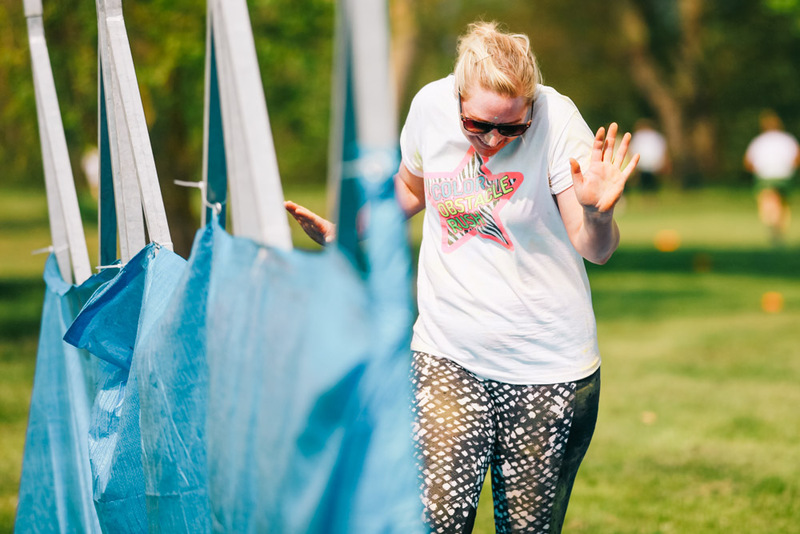 After all the fun we’ve had during warm-ups and on the course (my favourite were the inflatable jump balls) it was the time to celebrate! 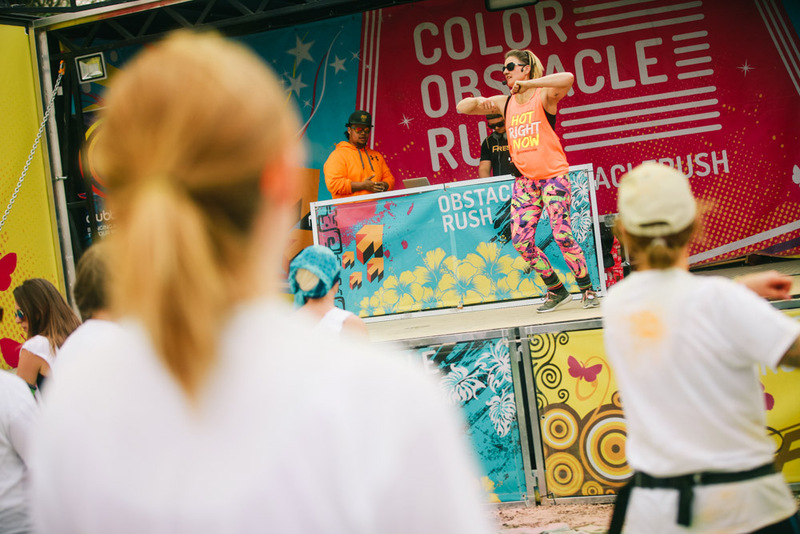 For each competitor who has completed their run, they were rewarded with a medal. 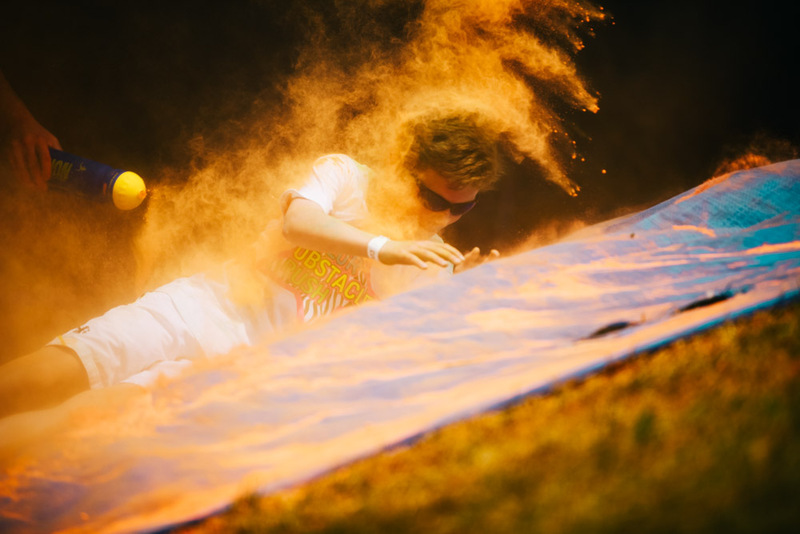 To top it up they have received another colour powder bags to use at the colour festival! 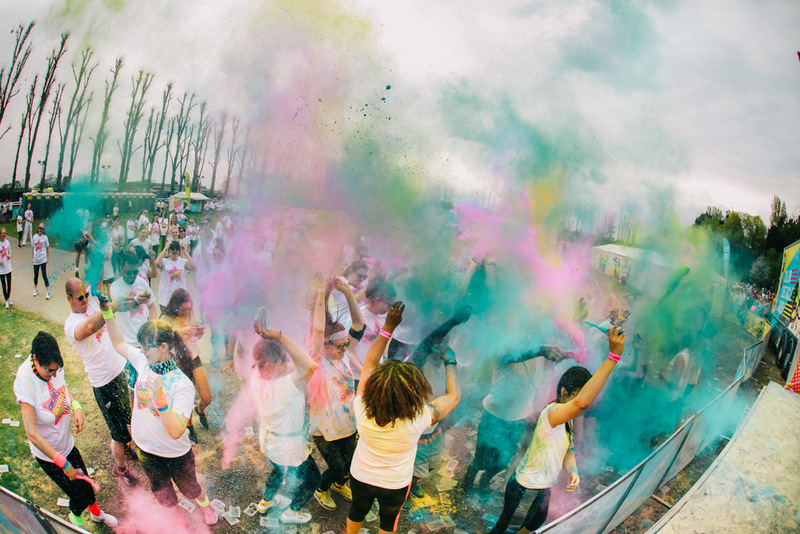 Now that’s the perfect way to finish off your most colourful day! 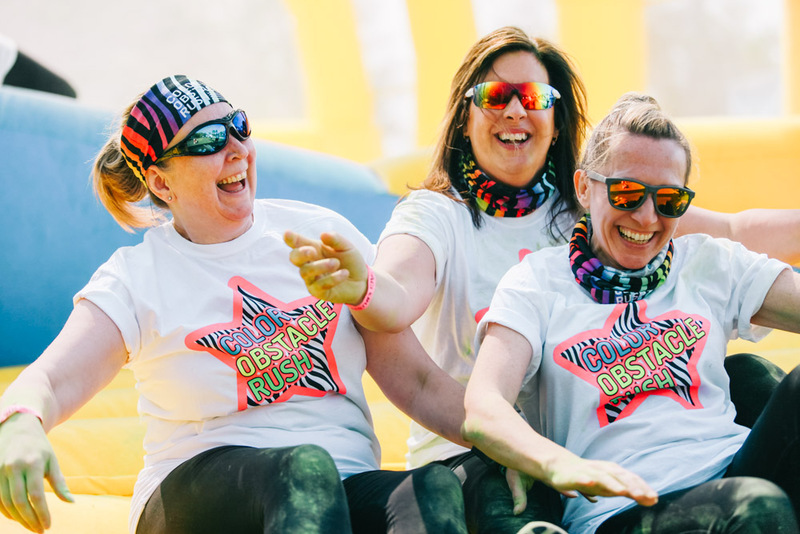 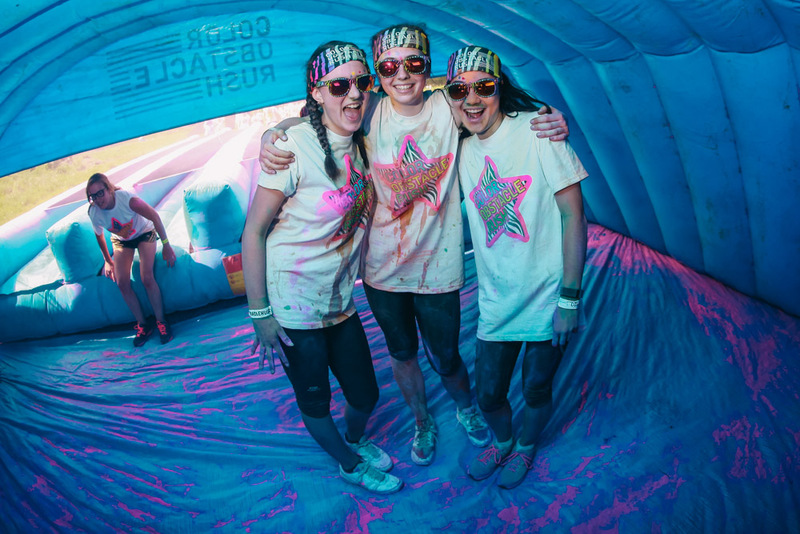 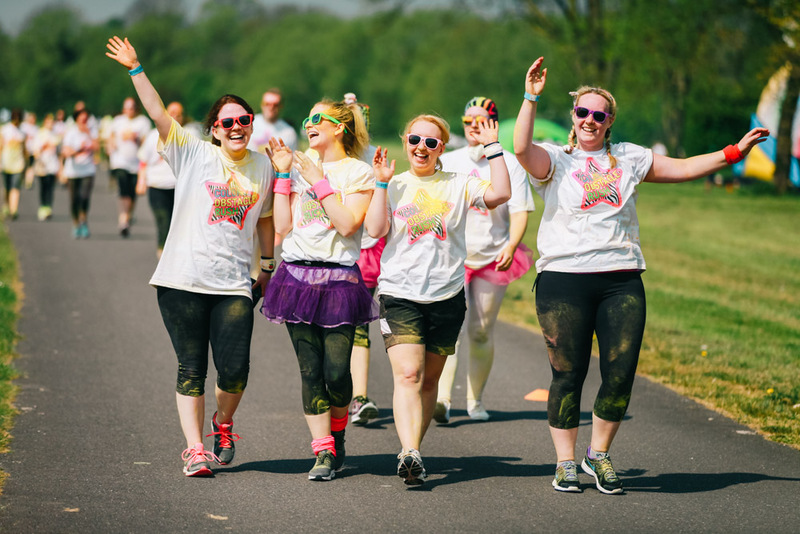 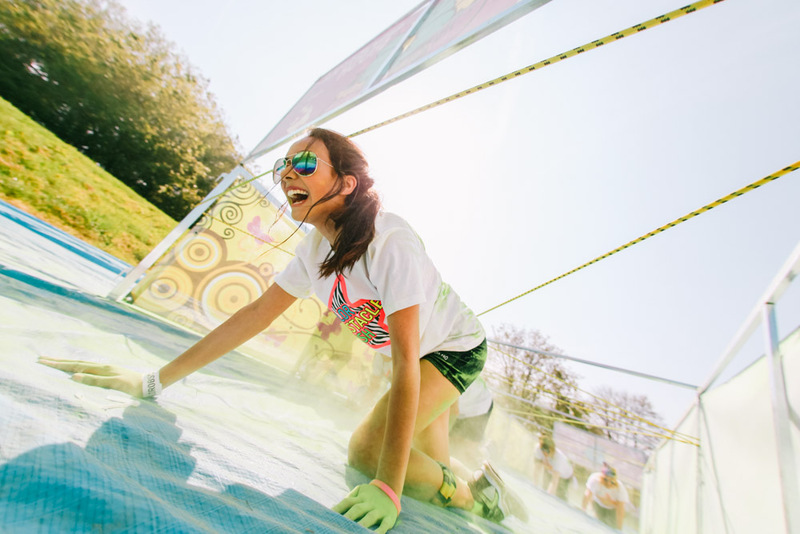 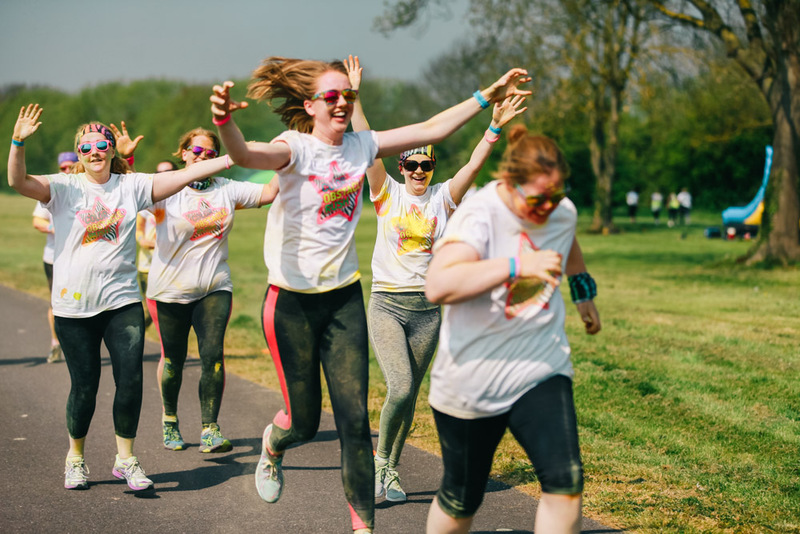 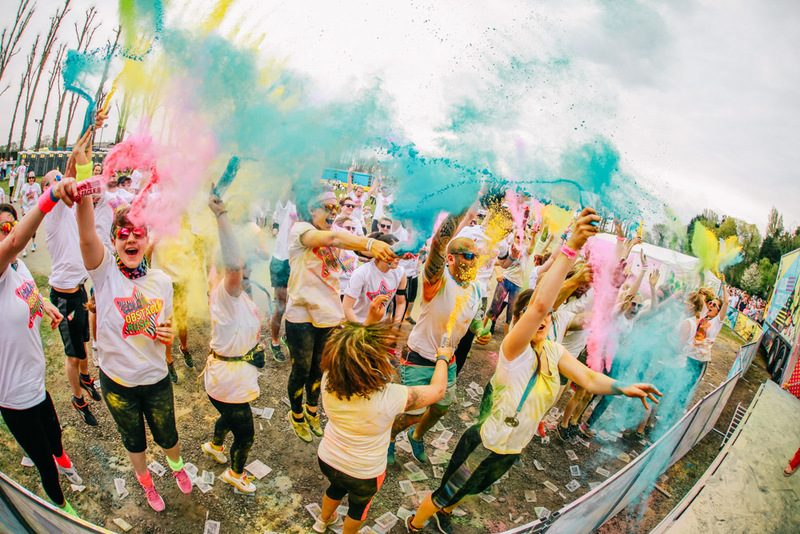 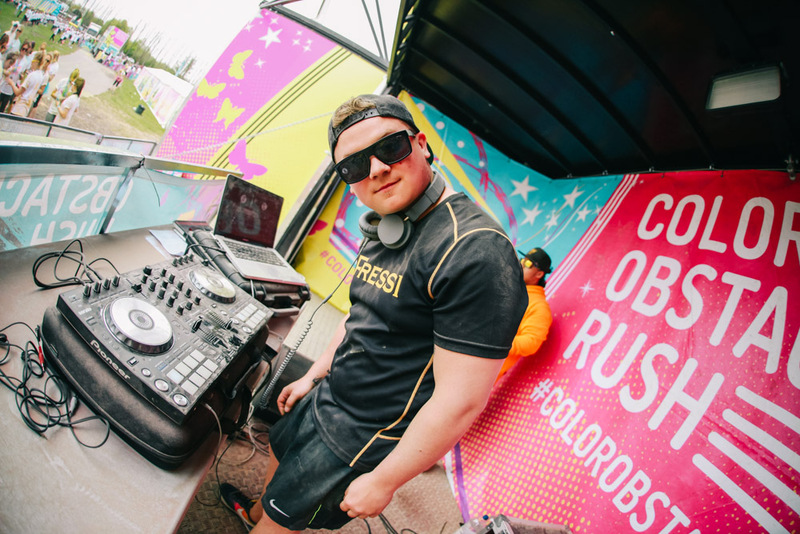 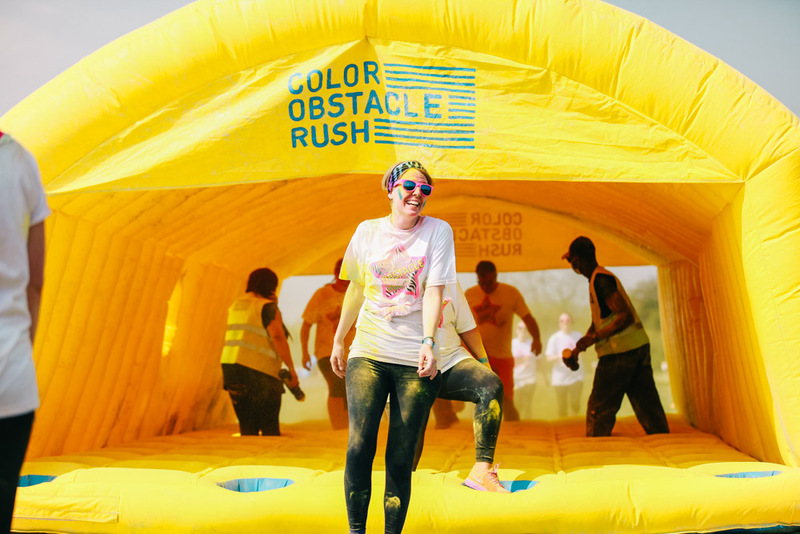 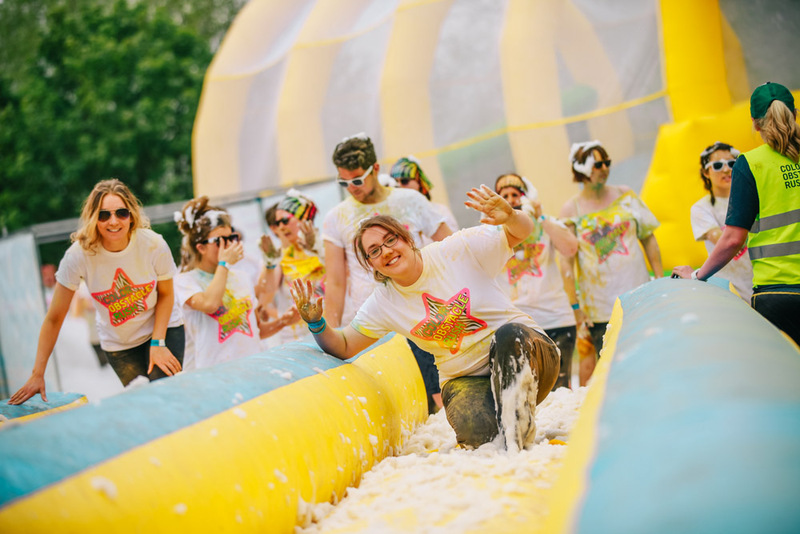 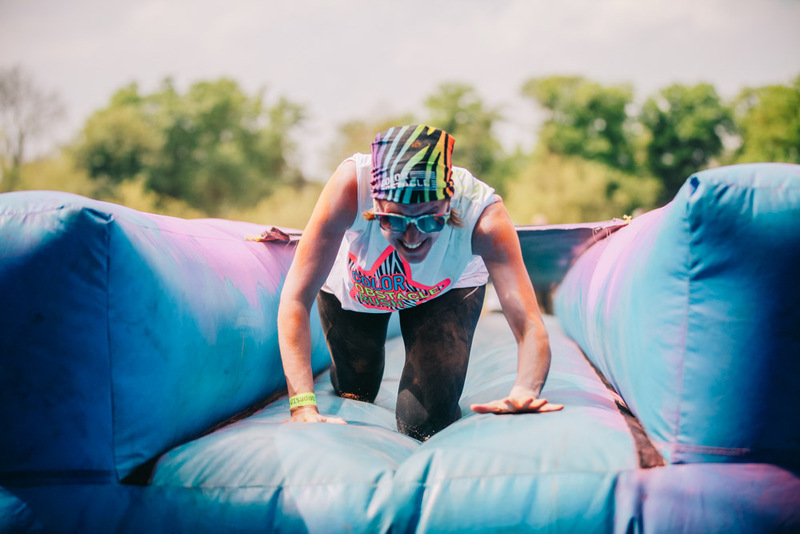 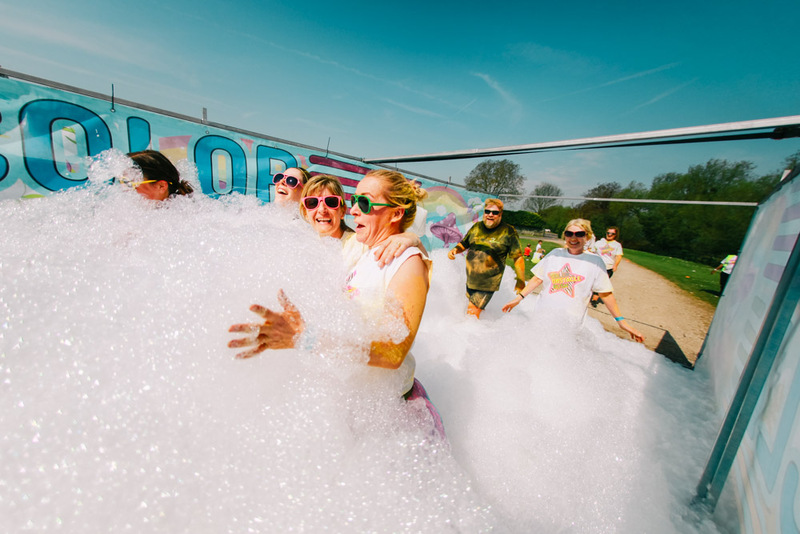 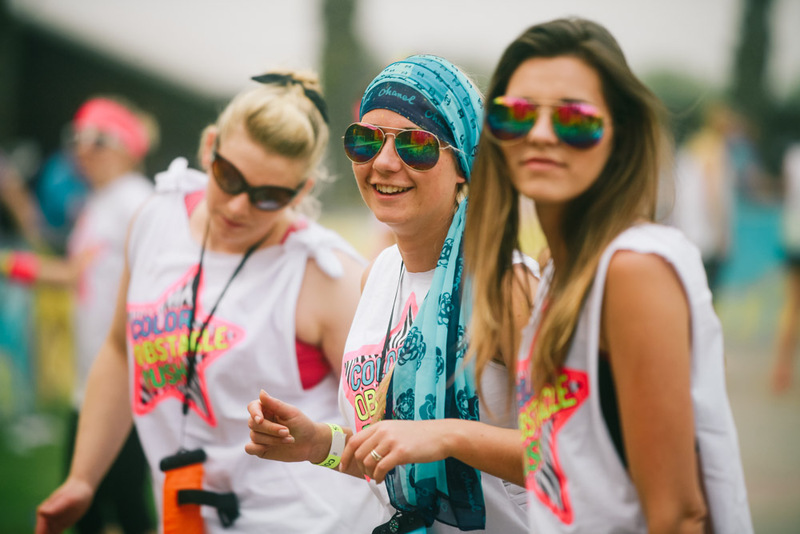 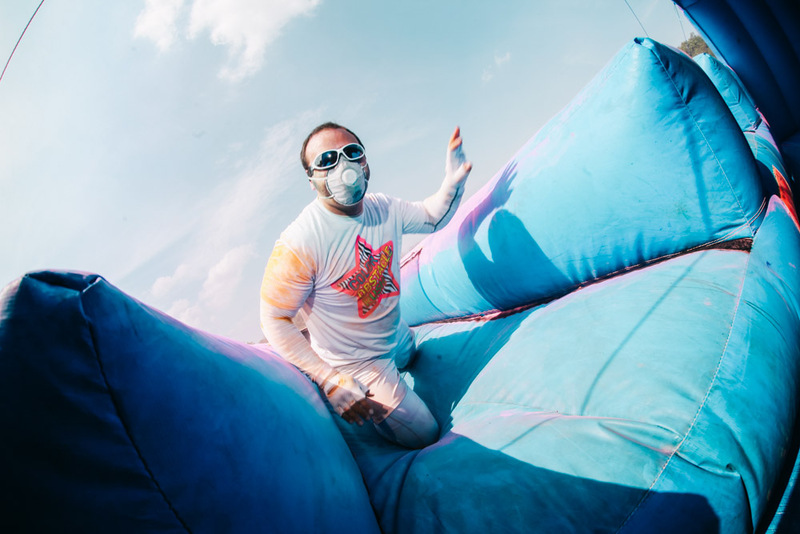 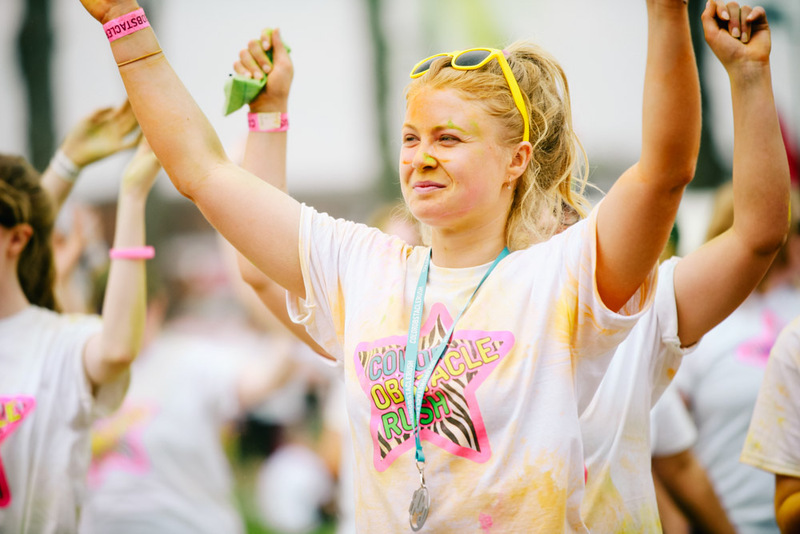 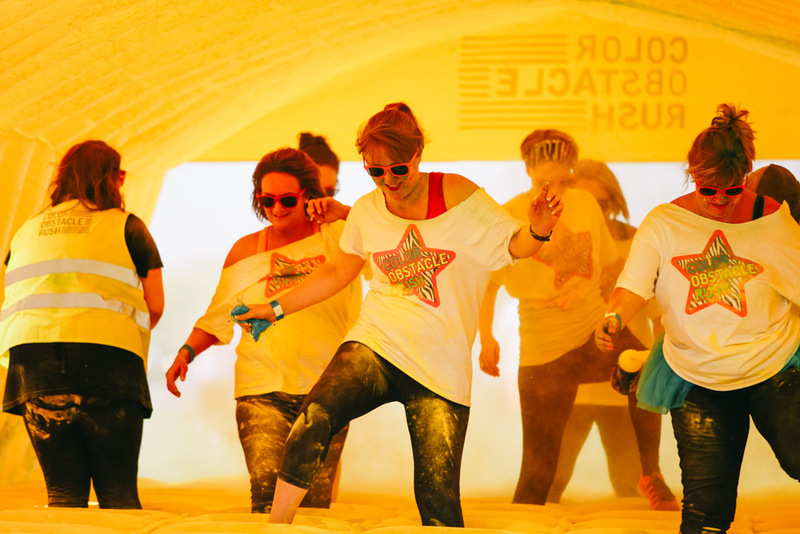 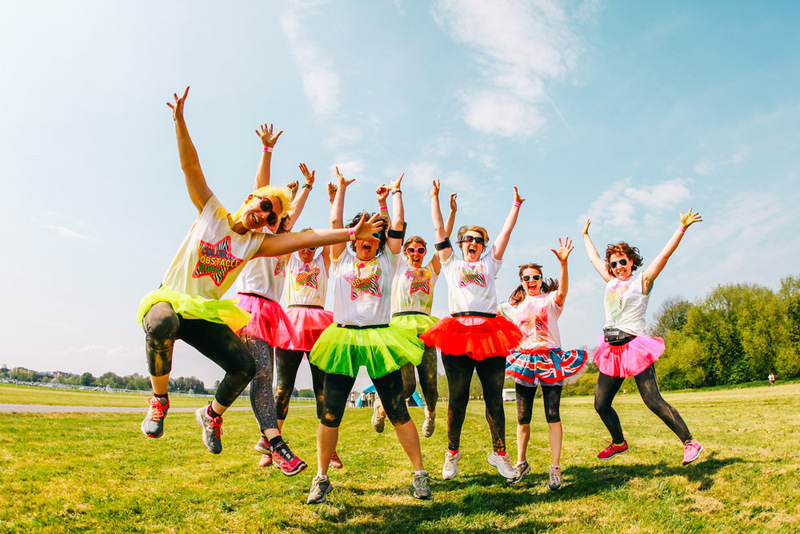 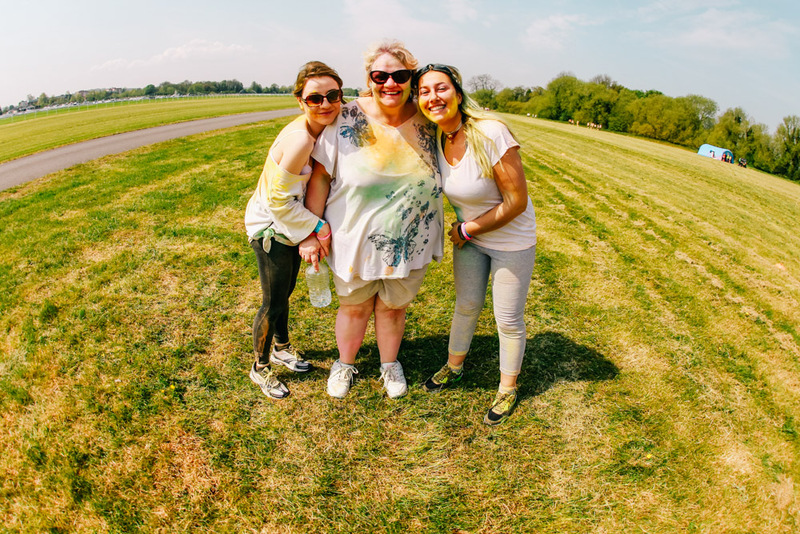 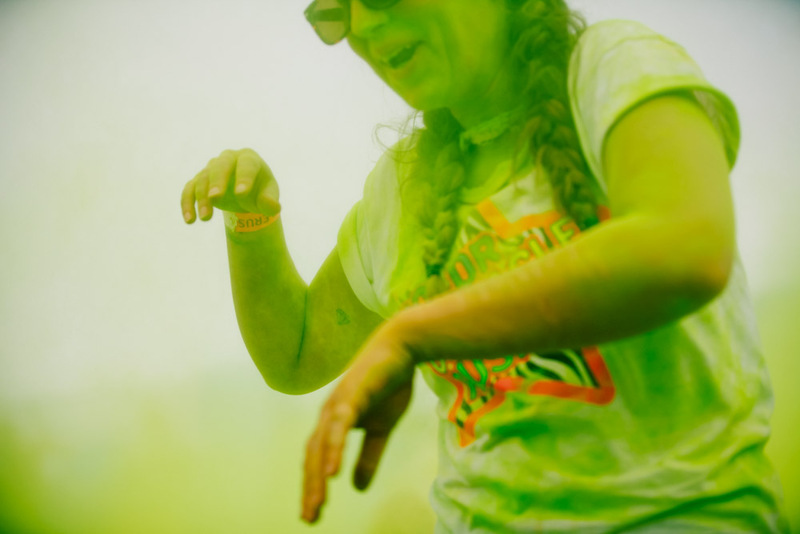 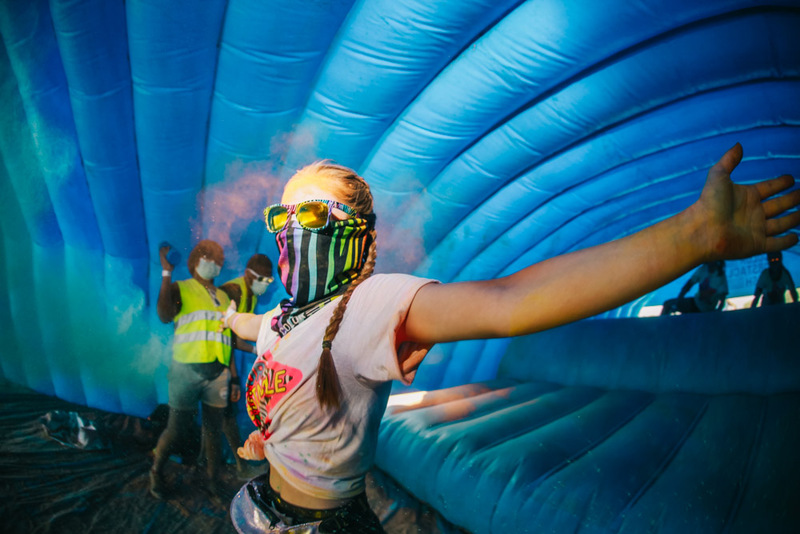 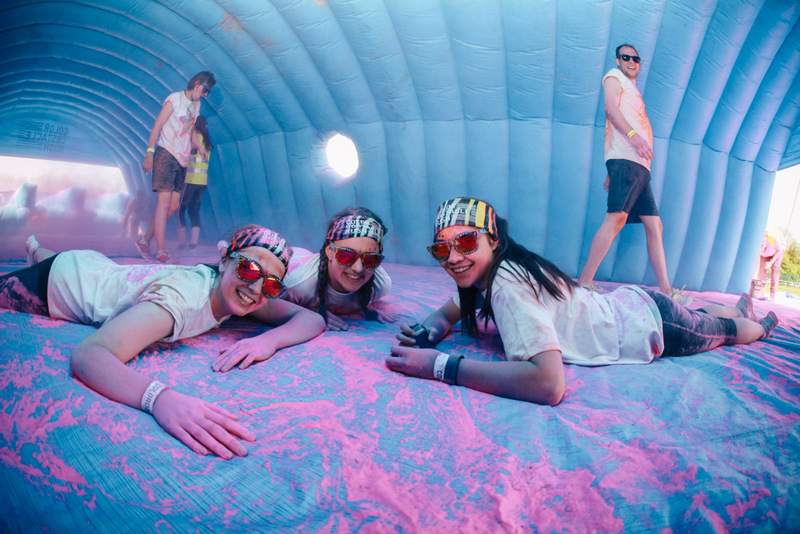 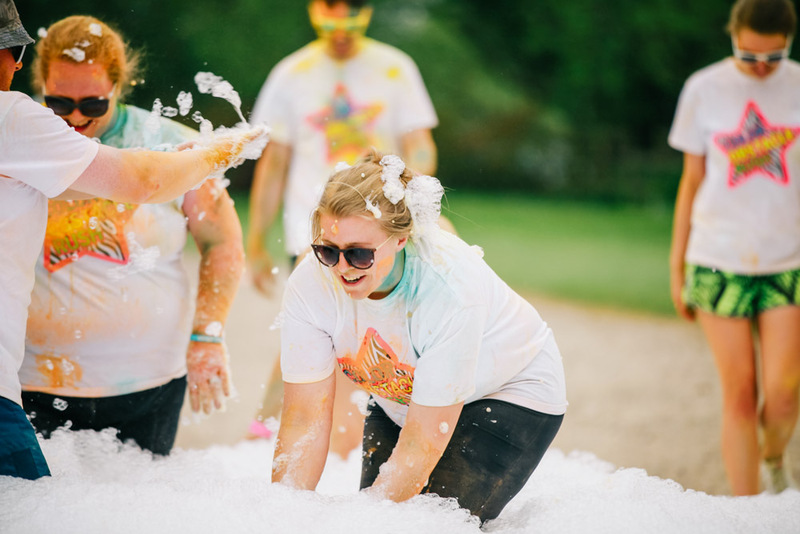 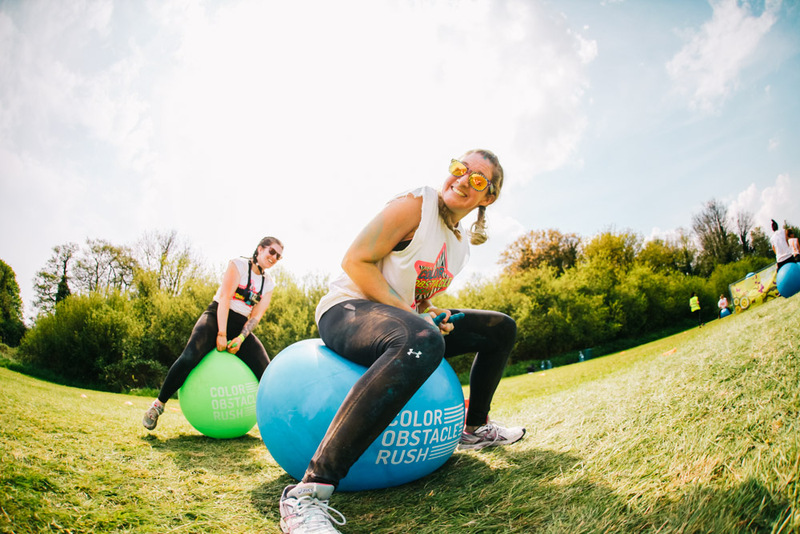 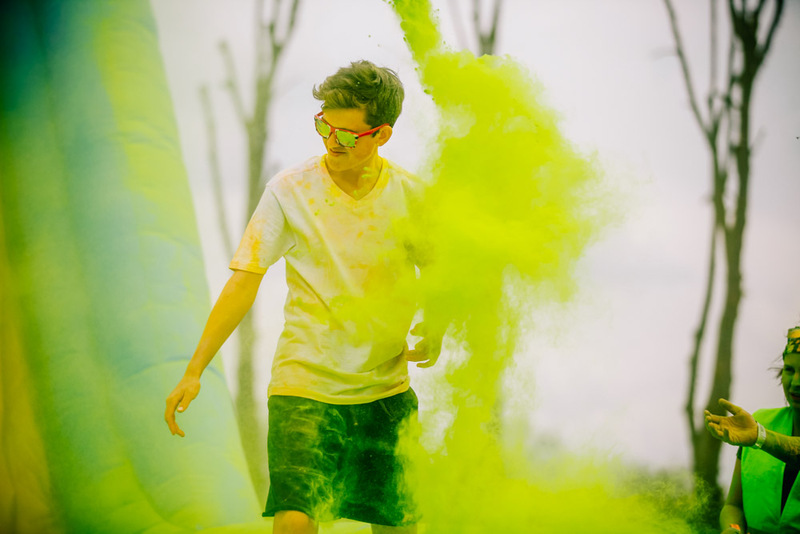 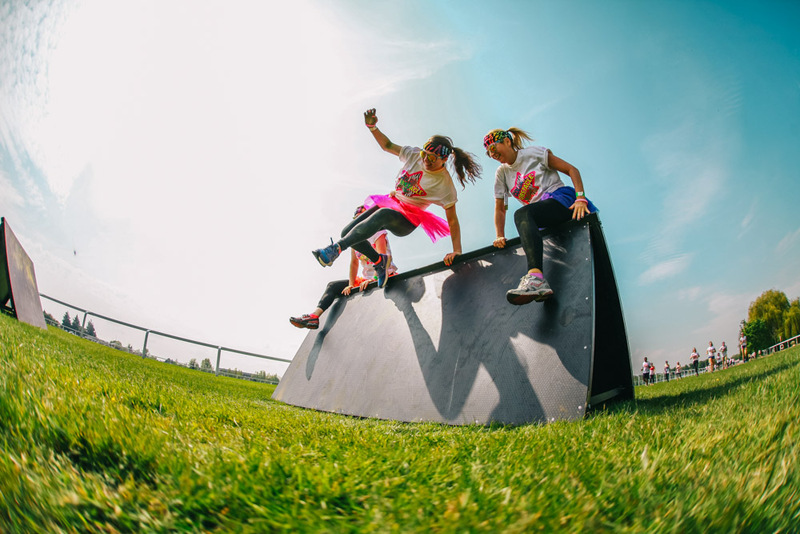 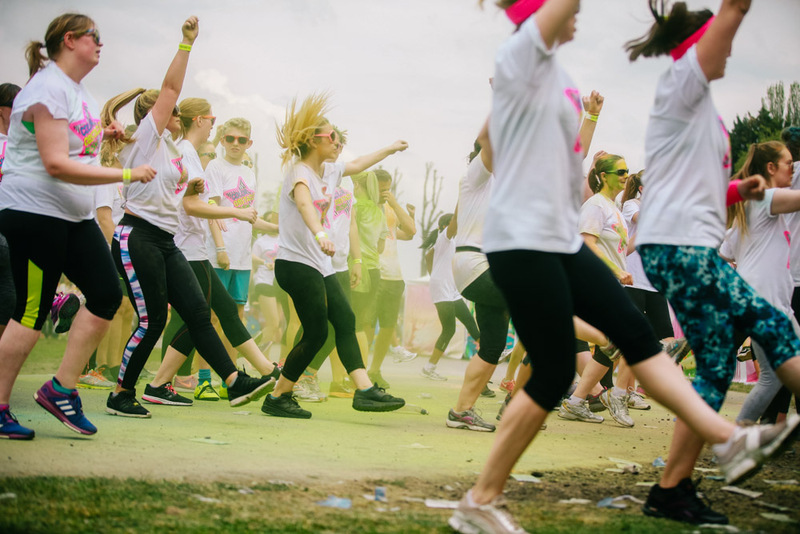 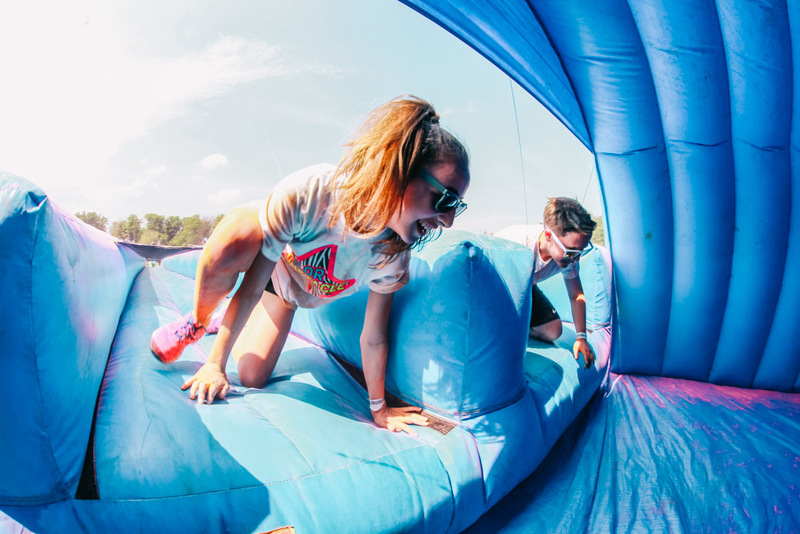 If you think this is something you would like to be a part of next year visit Color Obstacle Rush website and sign up for your nearest event.